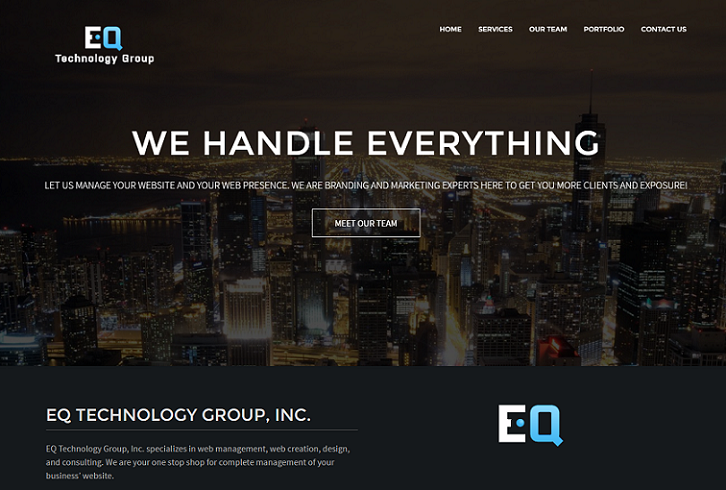 EQ Technology Group is a Naperville-based technology company that launched in 2011. Since its inception, the company has gone through many changes and periods of growth, from company culture to mission statement, marketing and brand awareness, and the services we offer or clients. We understand the importance of a strong web presence and quality website, which is why our own company website has undergone two redesigns in the past six years. We constantly look at what is happening in our industry and adjust accordingly, so we can stay competitive and serve you best. 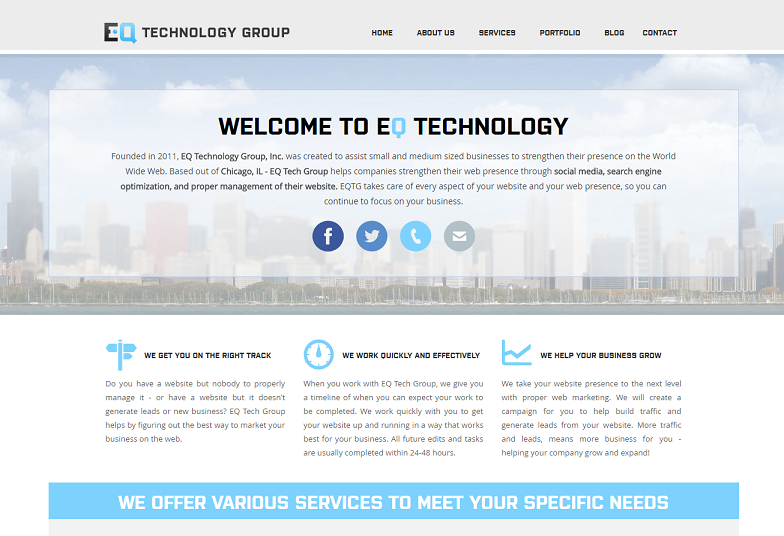 When EQTG first started, founder and CEO Richie Gryzb launched a simple website in order to get information out onto the web and to provide a way for people to get in contact with the company. There wasn’t much done in the way of SEO or content development in the beginning. As EQTG began to grow, we needed a better way to explain to people who we are and to draw attention to our services, so our second website was launched in 2013. This updated site provided more information and details about each service offered and a company blog section to keep people up-to-date with the evolution of the company. Technology changes fast, and in 2016, the time came again for a revamped website. 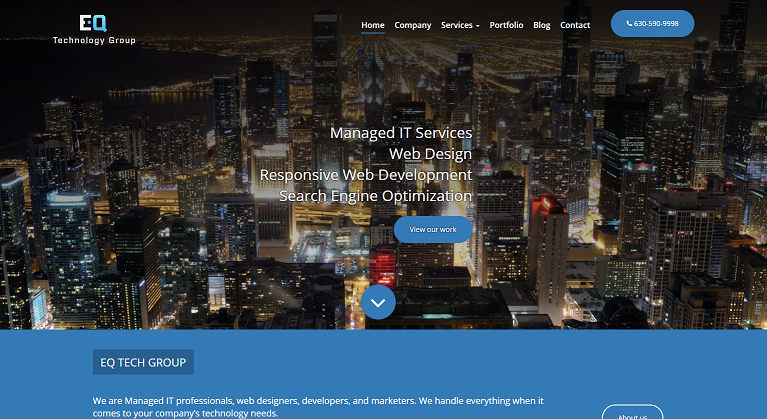 With this update, a responsive website was a top priority. We also began promoting the company more on social media channels, developing strategies to increase engagement. Once again after a few years, the website needed another round of updating. 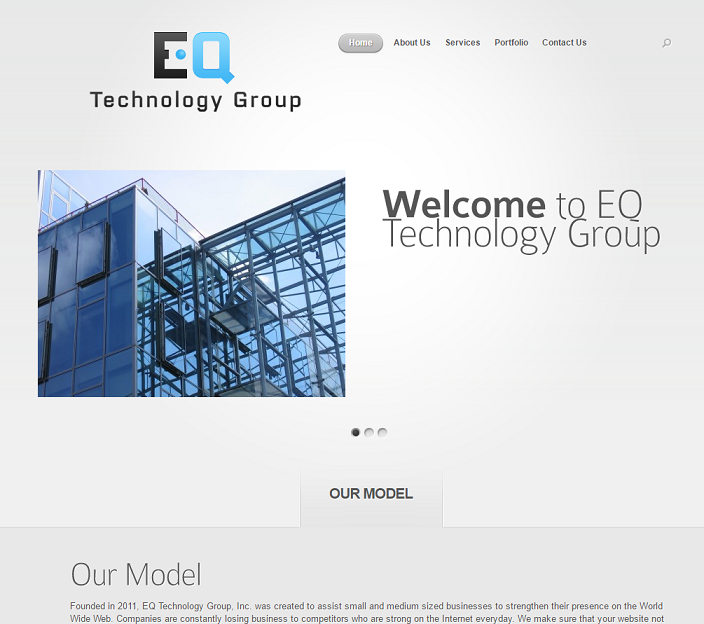 We introduced the world to version four of EQTechGroup.com. We focused the majority of our attention on design and layout, knowing that we also want room to grow and the ability to continue adding new content. If you’d like to learn more about the growth of EQ Technology Group or our services, please feel free to contact us online or give us a call.